Everyone who goes to the gym with the goal of getting stronger and leaner is technically bodybuilding whether you like it or not. Competitive bodybuilding is fat loss taken that little bit further. The best diabetes bodybuilding diet plan is the one you can stick to the longest. Bodybuilding involves set periods of eating a calorie surplus and deficit. Bodybuilding is more challenging for people with diabetes. There are many important nutrition considerations. 99% of people looking to lose weight or gain muscle mass prioritse the wrong things when it comes to diet. If you don’t assess your diet you won’t reach your true potential. You need fewer supplements than you think. Both whey and creatine are valid options for people with diabetes. If you live with diabetes and love bodybuilding, this article is for you. I’m all for building muscle and shredding fat as fast as possible. However, to achieve this, your diet MUST be set up correctly. Eating too much vs. eating too little. Taking too much insulin vs. taking too little. Training too much vs. training too little. Bodybuilding with Type 1 and Type 2 diabetes, is more challenging than you think. That’s why so many people living with diabetes fail to look and perform their best in the gym. 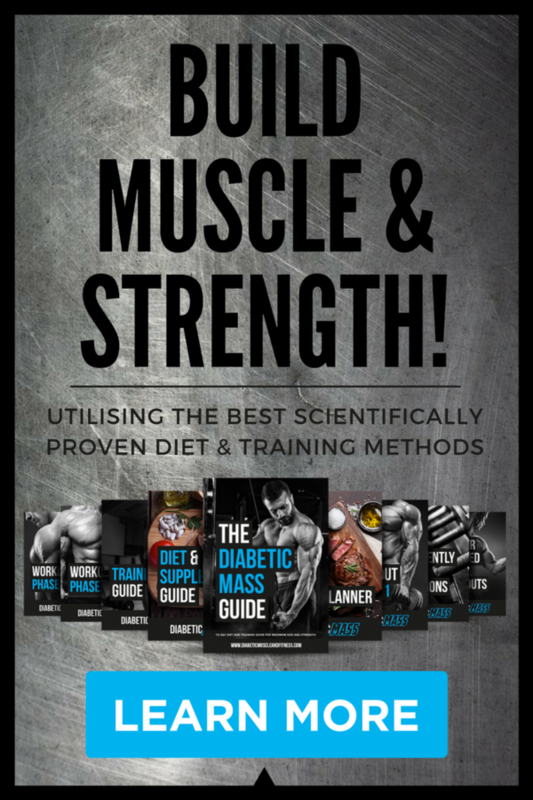 It’s taken me ten years of academic learning, 1000s of blood glucose tests, 1000s of hours in the gym and over 700 clients later to develop, The Ultimate Bodybuilding Cutting and Mass Building Diet Plan for people living with diabetes. When you hear the word bodybuilding what comes to mind? Most people, conjure up images of overly tanned men and women hitting muscle poses on stage in their underwear. While this represents the ‘competitive bodybuilder’, what about the vast amount of everyday gym goers who have no intention of getting on stage, but simply want to look better naked? Like it or not, anyone who goes to the gym with the intention of looking better is bodybuilding. Male, female, young, or old – it doesn’t matter. Bodybuilding is about building muscle, minimising body fat and looking your physical best. Competitive bodybuilders train year-round in an attempt to increase their muscle mass and strength. They dedicate set periods of time (usually 20 weeks) to ‘MASS GAIN’ followed by another 10-20 weeks of fat loss, doing what is commonly termed CUTTING. When the time is right, the competitive bodybuilder steps on stage with other competitors to be judged. The judging criteria is based on overall aesthetic development which includes muscle size, muscle symmetry, level of body fat and presentation skill (i.e. posing). What is required to compete and look your best? Nutrition, the right training stimulus and dedicated periods of rest are essential in every bodybuilder’s journey to building the perfect looking body (competitive or not). 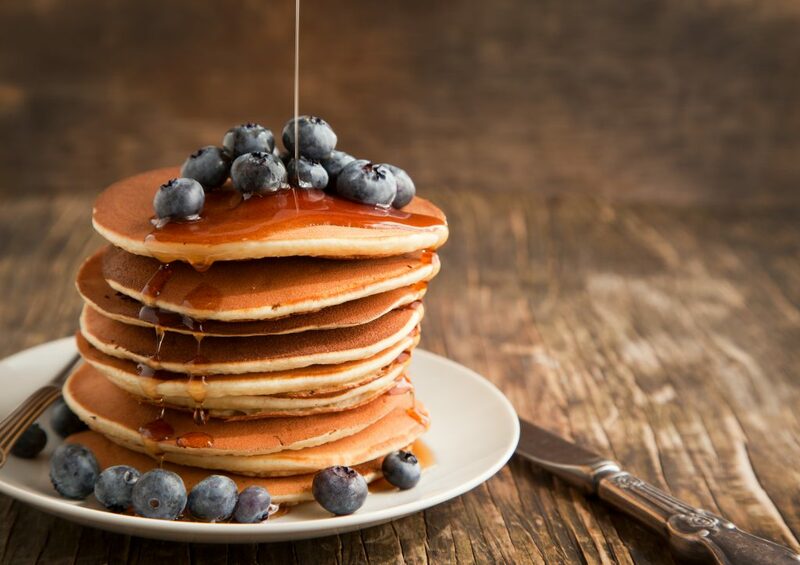 This particular article focuses on the nutritional aspect of bodybuilding, specific to people living with type 1 and type 2 diabetes. I will cover the training aspect in another article. Bodybuilding and Physique sports are becoming increasingly popular nowadays. Just look at the increased availability of protein supplements, meal prep services, and healthy eating restaurants. Bodybuilders who live with diabetes are few and far between. 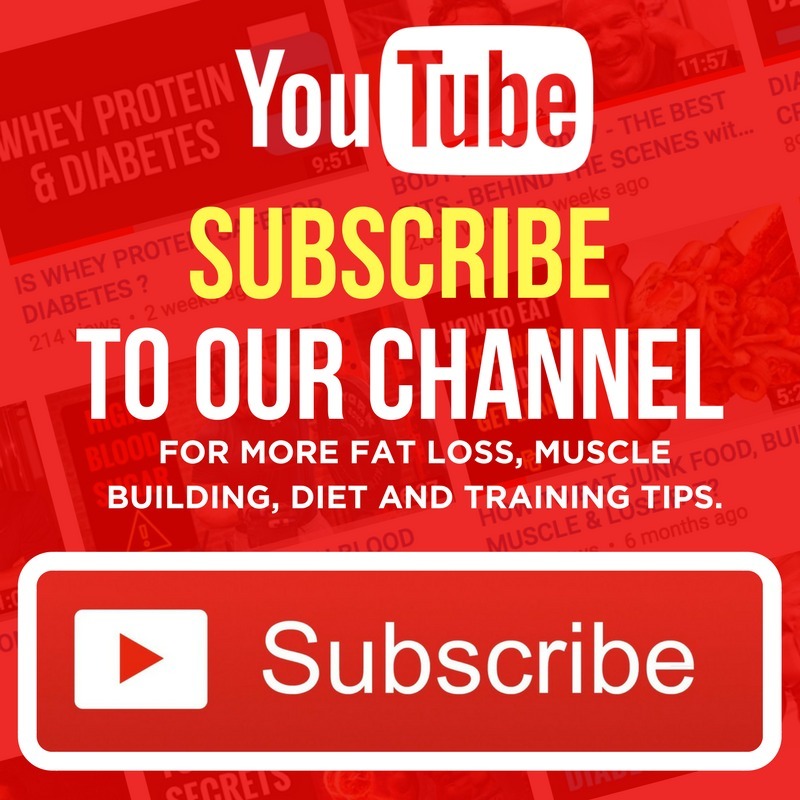 The fear of low blood glucose, the frustration of high blood glucose, lack of support and not knowing how to eat are the main reason so many people with diabetes fail to pursue their bodybuilding or physique body transformation goals. Does this mean bodybuilding with diabetes is out of reach? Living with diabetes doesn’t mean you can’t partake in body building or transform your body. Just look at the likes of IFBB PRO Anth Bailes, IFBB PRO Jason Poston, IFBB PRO Collete Nielson, Aidrian Brodlell and other leading diabetic bodybuilding stars. All of these individuals have won trophies and graced the front of many muscle and fitness magazines, all while living with type 1 diabetes. While it’s great to see so many people take an active interest in their health, it’s a hard push to find good quality, evidence-based diet information for bodybuilding and diabetes. As a result, many individuals end up following sub-optimal advice that jeopardises their health and bodybuilding results. You may have experienced this yourself? The diabetic body is governed by a different set of rules and requires a much more tactful approach to diet than would be advised by the mainstream fitness media or your local gym hero. Let’s look at the challenges a bodybuilder living with diabetes faces in their quest to build a better-looking body. Increased levels of muscle protein breakdown. Decreased joint and muscle mobility due to glycation. However, they only become a serious problem to building muscle when blood glucose levels are not controlled. You can safely say diabetes is not an advantage to bodybuilding, BUT, with the right knowledge, plans and guidance, diabetes DOES NOT have to be a disadvantage. The more you know about diet, the better you will control your blood glucose levels. The Diabetic Bodybuilding Diet Plan. When it comes to creating your own diabetic bodybuilding diet plan a number of factors need to be considered. Some are more important than others and must take priority. It’s easy to get excited and place more attention on the small details like the newest supplement, diabetic special food or the best time to consume your whey protein. Rather than prioritizing the more important (yet sometimes boring) aspects like your ‘WHY’ behind eating better, overall calorie intake or diabetes management. 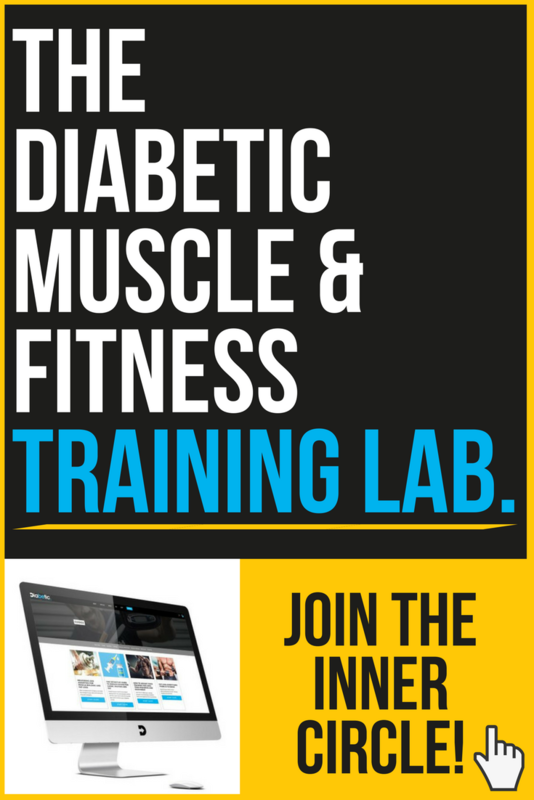 The Diabetic Muscle and Fitness Nutrition Pyramid (pictured below) outlines all the nutritional aspects of building a successful bodybuilding diet for fat loss or muscle gain with diabetes, from most important (at the bottom) to least important (at the top). Structure your nutrition like this and you can guarantee high-quality results. 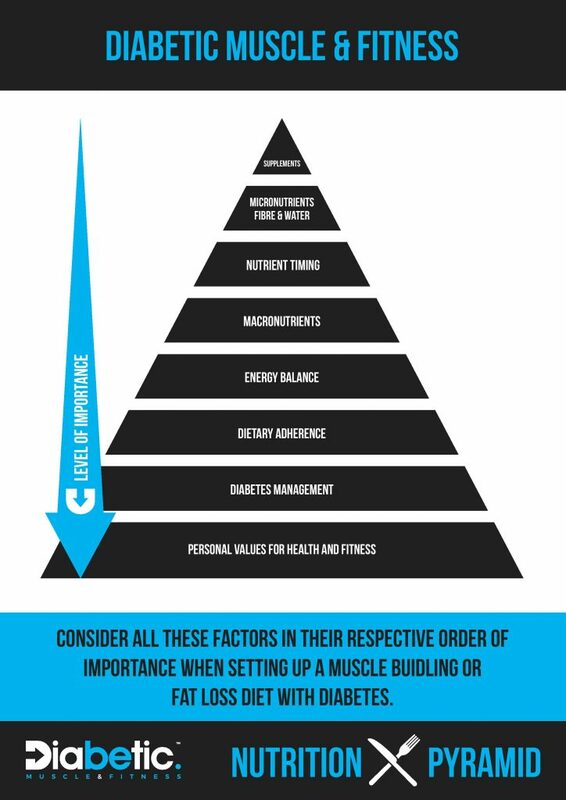 This is the exact hierarchy of importance I have incorporated into my new 112 Day Body Transformation Guides, Diabetic Shred and Diabetic Mass, developed exclusively for people living with diabetes. 1. PERSONAL VALUES FOR HEALTH AND FITNESS. Your personal values for health and fitness are your WHY behind your HOW TO. Find as many reasons as you can to support why improving your diet will enhance the quality of your life. These answers are the driving force behind your daily attitude and actions. Quick hint, you’ll need a lot more reasons than simply wanting to look better to fit in. I’ll do a separate article on the psychological aspects of getting in shape as it’s a complex subject well beyond the scope of this nutrition article. Even if a diet is comprised of the best quality and freshest food or most expensive supplements on the planet. Poorly controlled diabetes can predispose individuals to malnutrition, a condition where the cells of the body cannot utilise fuel properly. Malnutrition resulting from poorly controlled (i.e. uncontrolled) diabetes, adversely affects body function and well-being, in addition to predisposing individuals to disease and delaying recovery from illness. The point of the matter – Your diabetes must be exceptionally well controlled in order to reap the full benefits of healthy eating. Whether your goal is to shred pounds of body fat, gain mass or maintain body weight, your diet plan must be able to accommodate social occasions, days off, and the odd slice of pizza when you fancy it. Yes, a diabetic just said pizza. 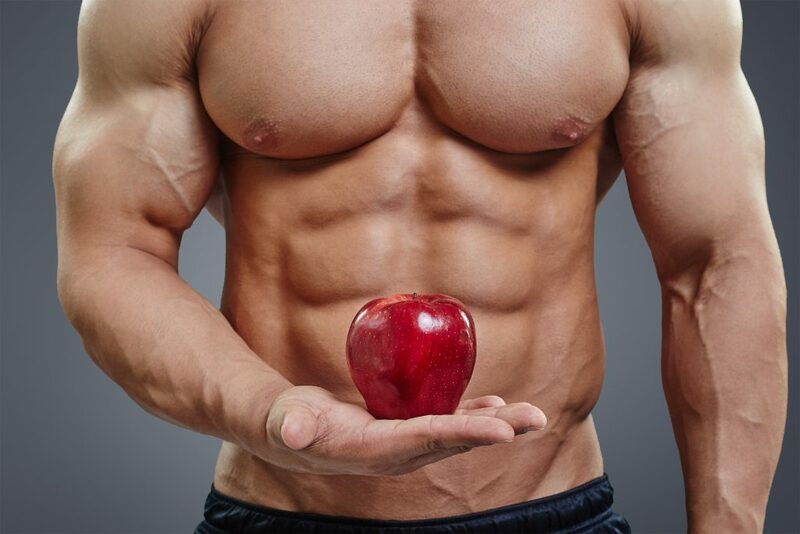 The best diabetes bodybuilding diets incorporate a little give and take. If set up correctly, the total number of calories you consume will allow you to achieve your goal without restricting the foods you love. Eating ‘clean’ doesn’t mean you’re doing things optimally. This is especially true if you find yourself craving the foods and macronutrients you restricted. What good is a diet that drives you crazy? You’ll struggle to get results, never mind maintain them. Besides nailing your calorie intake and essential nutrient targets, the secret to building a better-looking body is eating a diet you enjoy. Adherence is everything. This viewpoint is also supported by the Journal of the American Medical Association which researched pretty much every fat loss diet on the planet to find ‘adherence’ was the most significant factor behind a diet’s success 9. How many massively restrictive diets have you started, only to stop once your burst of enthusiasm has been replaced by pure monotony? Time to re-think things? As for training, it’s only the fun part. I take dietary adherence very seriously in my guides. I’ve even incorporated detailed instructions on how you can eat the foods you love and still get in amazing shape. 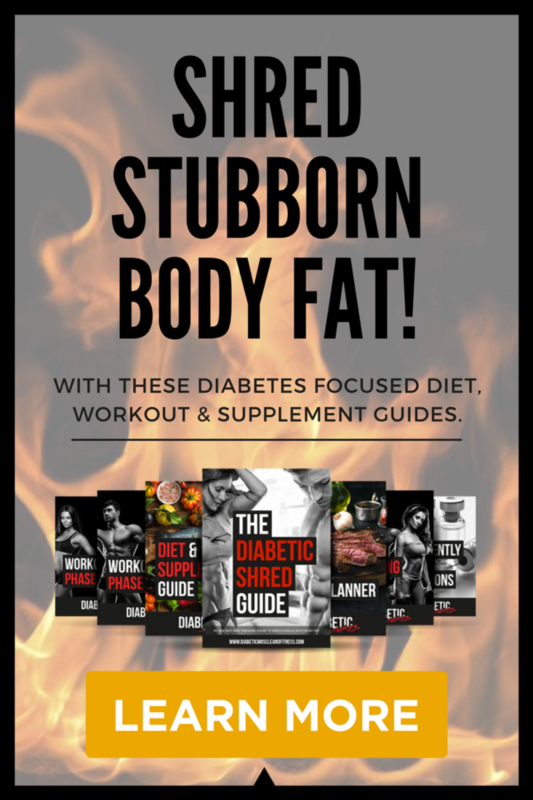 The breakthrough diabetes bodybuilding diet and training guides are Diabetic Shred and Diabetic Mass. Forget overly restrictive, dull, boring chicken, broccoli and rice diets, carb cycling, detoxes and super expensive supplements. Focus on sustainability and killer consistency. To Cut, Build or Maintain? Now you’ve got to terms with the foundation of your diabetes bodybuilding diet plan, let’s discuss your goals before going any further. FAT LOSS – Fairly self-explanatory. The goal is to get as lean as possible while maintaining, and where possible increasing, muscle mass at the same time. INCREASE BODYWEIGHT & MUSCLE MASS – When the primary focus is an increase in body weight, muscle size and strength. Successful mass gain involves very little fat gain. MAINTAIN BODYWEIGHT – Maintaining your current level of body fat and muscle mass. Typically reserved for retired bodybuilders or individuals who no longer have the time or resources to commit to a full-time bodybuilding lifestyle. If you want to keep looking great naked, with the minimum effective dose, maintaining is your goal. Once you’ve identified your diabetes bodybuilding goal you will need set yourself a time frame, measure your progress and get accountable. You need to set yourself an adequate time frame for getting in shape. How long will depend on much progress you want to make. While building a great looking physique takes years, generally speaking, 16 weeks is enough time to make significant body transformation changes. Measure your rate of progress. If you aren’t assessing you’re just guessing. 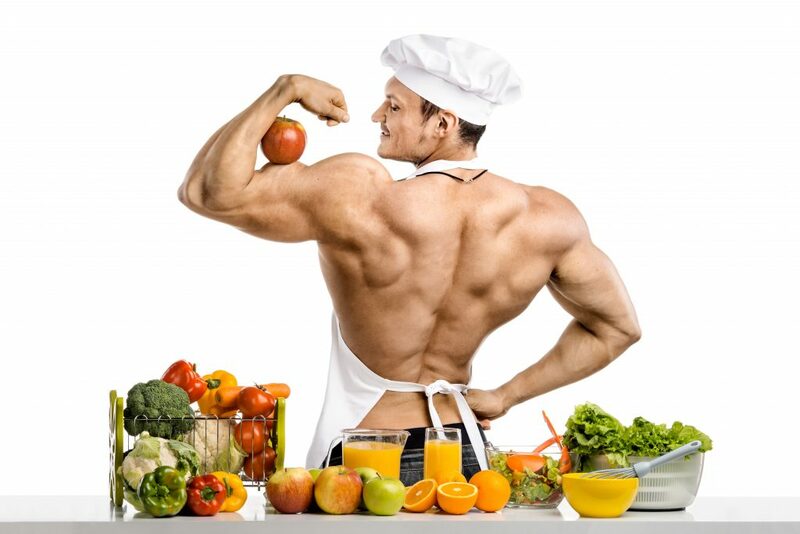 To get the most out of your diabetes bodybuilding diet plan, you must learn to evaluate and measure your food intake. Think again, tracking allows you to build portion control habits, and eat more flexibly in relation to your bodybuilding goals. Fat loss requires eating less than you burn off. Overeating will hinder your fat loss efforts, while under eating will increase your chances of muscle loss and fatigue. Mass gain requires eating slightly more than you burn off. Overeating will increase your chances of gaining unwanted body fat, while eating too little will slow muscle growth and prevent you adding size. Far too often people blindly drop their calories and increase their training when there is no need. You must adjust when the time is right. How will you know? Tracking of course! Having worked with 100s of bodybuilders and physique athletes, I know only too well how confusing it can be when it comes to making decisions about when to cut calories and where from. I paid great attention to this dilemma when developing Diabetic Shred and Diabetic Mass. Both guides give you a crystal clear decision process for when and where to adjust your calories, once you hit a plateau. The plateau is usually the time when people give up on their goals. 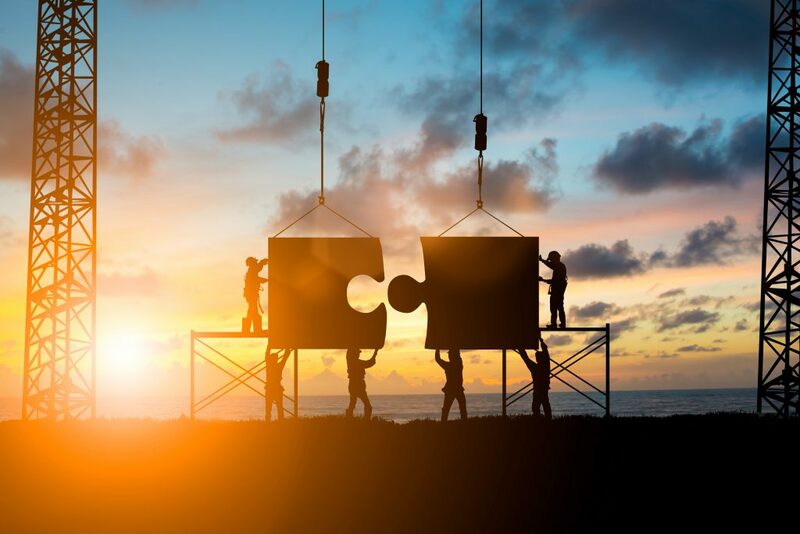 Have you given up when improvements have slowed? Having a clear set of questions and actions like this saves hassle, gets better results, and most importantly, keeps you progressing not quitting! To get the most out of your diabetes bodybuilding diet plan, you must get accountable. Hiring a coach or personal trainer with a proven track record who understands diabetes management will be worth its weight in gold, especially if it is your first time. A good coach will give you that much-needed push during training, along with good honest critical feedback on your physical progress, and posing. Now let’s get into the nitty gritty of nutrition and talk calories, carbs, protein, dietary fat and supplements. The first place to start when building your diet plan is calories. 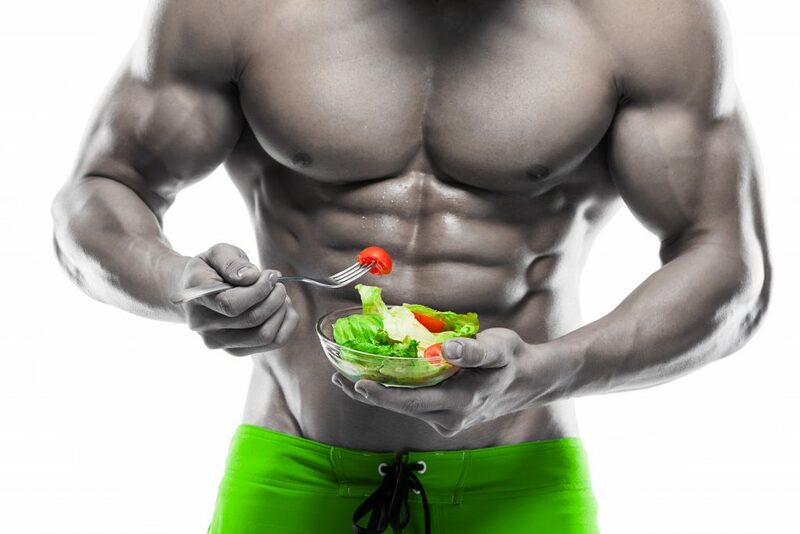 Calories play a crucial role in everyone’s attempts to build muscle and shred fat 1. If your goal is to lose body fat or increase body weight, you must first establish how many calories you need to maintain your current bodyweight, and then work from there. How do I work out my maintenance calories? If your body weight has gone up, this indicates a calorie surplus. If your body weight has gone down, this indicates a calorie deficit. If your body weight has remained the same, this indicates maintenance calories. 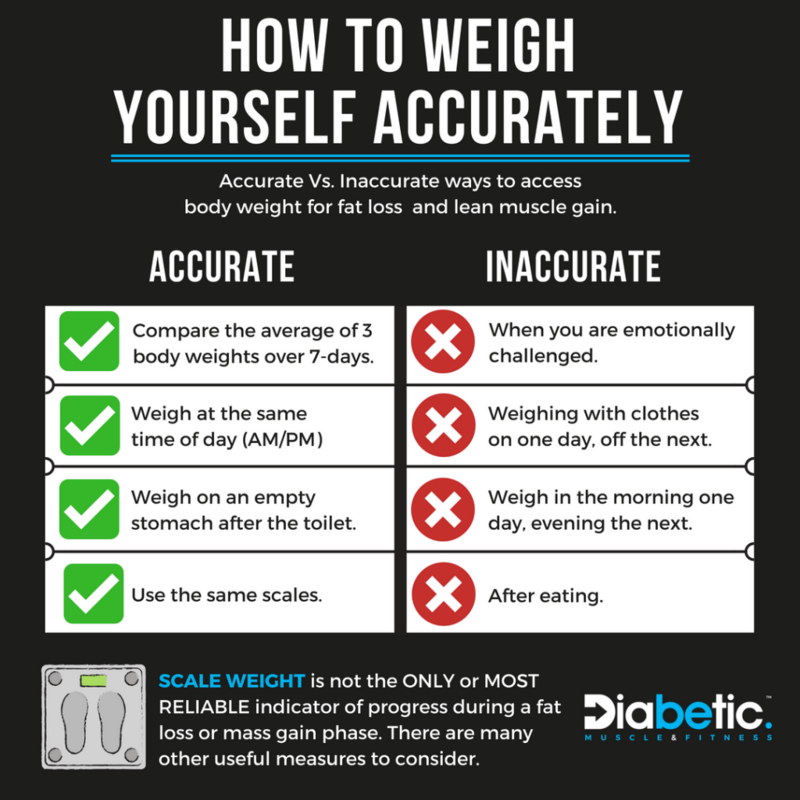 Oh, and if the idea of weighing yourself seems daunting, here are some useful tips on how to weigh yourself properly. Another way to calculate maintenance calories is by using a calorie calculation. These aren’t 100% bulletproof, but they do get you on the right path. Once you’ve established a maintenance level of calories, you’ll need to adjust it to your goal. Fat Loss – Eat slightly fewer calories than you need to maintain your body weight. Mass gain – Eat slightly more calories than you need to maintain your body weight. Body maintenance – Keep eating the same amount of calories. Everyone gets confused about macros. It’s no surprise considering the vast amount of conflicting and over-complicated information found online and in the papers. Which macro split is best for diabetes? Certain macro nutrients are essential, others not. Carbohydrates and other forms of fat are non-essential as the body can produce them itself. The best diet contains all the macronutrients in the right amounts specific to your overall calorie goal for fat loss, mass gain or body weight maintenance. What ratio of macronutrients you decide to eat is largely down to personal preference once you have met your essential needs for protein, essential fatty acids and carbohydrates for hypo treatment/prevention purposes. To keep it simple, 1.4-2.0g per kg (0.6-1.0g per lb) of protein for the majority of people reading this. In other words, if you weigh 67kg (147lb) you would consume 90-150g of protein per day. Split equally over 3-5 servings of 20-40g each day. Generally speaking, consuming 20-30% of your calories from fat is a great place to start. You might consume different amounts each day. However, over a period of weeks/months – they should average out. 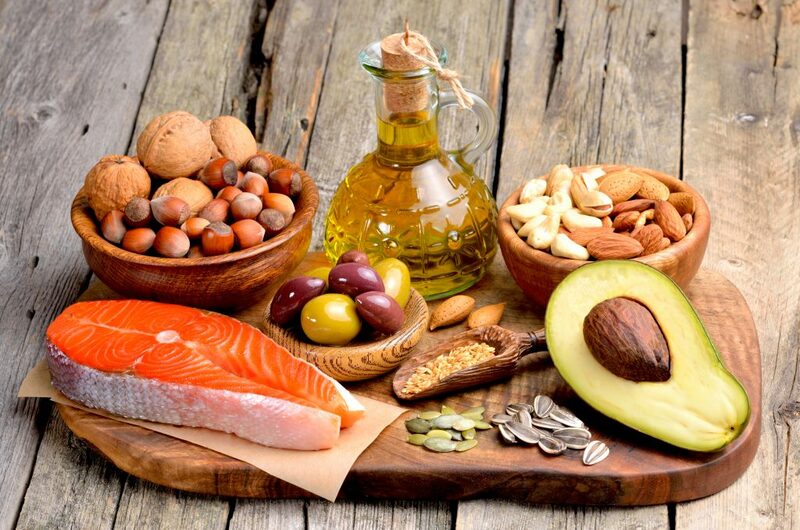 In respect to your overall fat intake, certain types of dietary fat are essential, others not. There are three types of omega-3s involved in human physiology: ALA, EPA & DHA. Predominantly of marine origin, EPA and DHA are better than ALA found in plant oils, due to their greater bioavailability 2,3. Consuming fatty fish and fish oil supplements have been shown to improve dozens of aspects of health and disease, including insulin sensitivity, blood lipids, depression, inflammation and blood pressure, to name a few 2,3,4,5,6. Taking into account the different government and health organisations’ recommendations, 1-3 g of combined EPA-DHA per day suffices. The upper dose of 3g would be more suitable for people with diabetes due to the predisposition of a high triglyceride level and elevated blood pressure. 1 gram of fish oil is the equivalent to around 3 fish oil capsules per day or three to four 112g portions per week of oily fish like salmon, mackerel or sardines. You’ll want to check how much Omega 3 you can take with your health care professional if you’re taking blood thinning medication. Carbohydrate should make up the remainder of your calorie intake once you have calculated your calorie intake from protein and fat. The more carbs you eat, the less fat you’ll eat, and vice versa. The more dietary fat you eat, the fewer carbs you’ll consume. Think of carbohydrate as a performance fuel, not a recovery fuel – the more training you do, the more you’ll need. Do I need to go low carb if I live with diabetes? If you are highly active and strength train 3-6 times per week, carbohydrates will help fuel your exercise performance and provide your body with a better training stimulus. The fiber aspect of carbohydrates has also been shown to play a key role in the health of our microbiome, which has now been repeatedly shown to play a key role in body weight management 7,8. Carbs provide a range of different vitamins and minerals. They also taste great and help with dietary adherence. Provided you manage your blood glucose levels and account for the calories you consume from carbohydrate, there is no reason to exclude them. On a side note, you must account for the carbohydrate calories you use to treat hypoglycaemia. This may vary from day to day. If you”re like most men with diabetes, trying to figure all this out can get pretty overwhelming. One of the easiest ways to overcome this is to follow simple recipe plans. That’s why I created the Ultra Lean Diabetic Cookbook for men looking to shred fat. 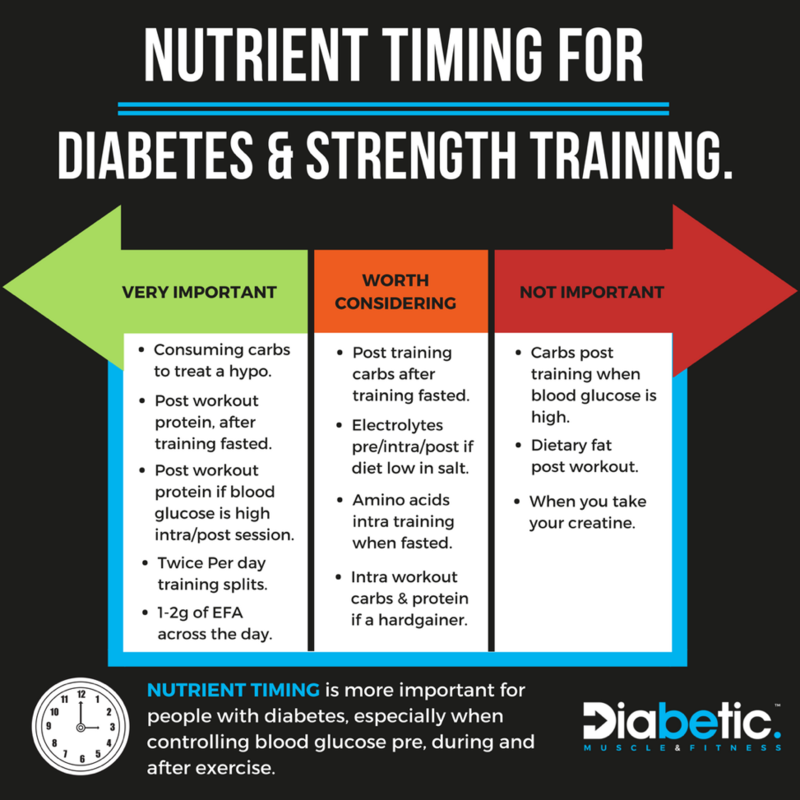 Nutrient timing is more important for people with diabetes, especially when it comes to preventing/treating hypoglycaemia or preventing hyperglycaemia. Getting your nutrition timed right has favourable effects on body composition, mood, and diabetes management. However, it should never be prioritised over the more important levels of the pyramid such as energy balance and macro nutrients. In terms of meal frequency, 2-4 meals for fat loss and 3-5 if bulking to add size. The topic of micro-nutrition may sound mind-numbing but you can’t overlook it. Long-term micronutrient deficiencies will have a detrimental impact on your health and ability to perform/recover optimally from your training efforts. Micronutrient deficiencies can result from prolonged periods of low-calorie dieting and poorly controlled diabetes. A varied diet is a great way to get in a range of micronutrients. If you have any problems with energy levels, hunger, skin, or problems sleeping, you might be short of a few vitamins or minerals. Rather than assuming, the best way to check for micro nutrient deficiencies is by getting a blood test done. First of all, it is worth noting fiber is not an essential nutrient. Provides food for the bacteria in our guts which are shown to play a massive role in health and obesity prevention. Helps you go to the toilet. High-fiber foods like fruits and vegetables contain lots of other nutrients (vitamins and minerals) that are important to health. If your fiber intake is low, don’t start ploughing it down. The body, particularly the bacteria within your gut need a little time to adapt. Otherwise, you’ll be pretty bloated and be blowing a lot of gas. Provided you don’t suffer from IBS or any other serious bowel condition, 30-40g of fiber is a great target to shoot for daily. Water is important for all things: health, muscle building and exercise performance. There isn’t really a fixed water goal you should work to per say, as hydration needs vary widely with body weight, sweat rates and frequency of hyperglycaemia. Aim for at least 5 clear urinations a day. Make sure you’re not dehydrated before training. Hydrate yourself well both during and after hyperglycaemia. Your hydration needs will increase if you are using the likes of creatine. When it comes to supplements, let’s get five things straight. Supplements are the least important part of the nutrition pyramid. Supplements can be a great nutritional insurance to someone living with diabetes. However, they will not mop up the damage caused by poorly controlled diabetes. Supplements are a healthy addition to a good diet plan, but they will not make up for a poor one. Generally speaking, supplements are not needed, unless you don’t eat oily fish or natural sources of omega 3. Supplements are never to be seen as shortcuts. 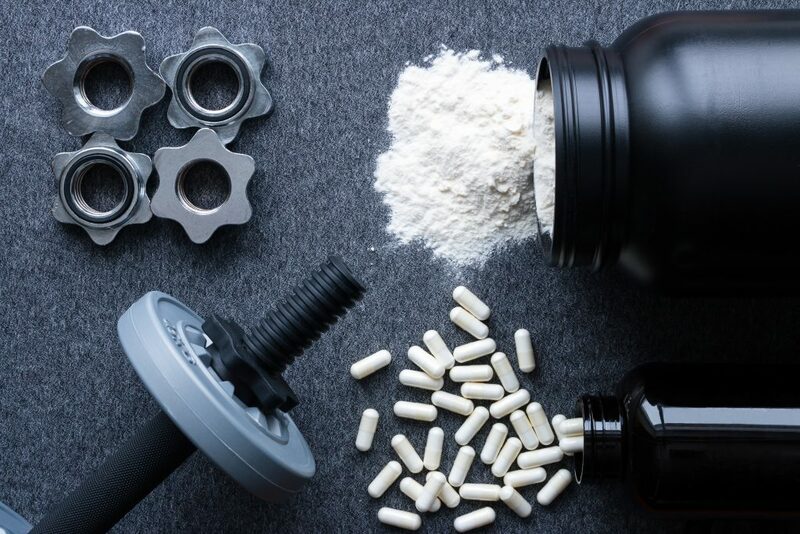 Generally speaking, protein powder is a convenient easily digested source of high-quality protein, creatine along with caffeine is useful for boosting strength and cognition, Vitamin D is good for health if you live in a dull climate, fish oil seems to improve many elements of health – which makes all of these a worthwhile investment. Since I consider the subject of supplements such a non-important topic, I’ll cover them in greater detail in a separate article, as I don’t want them distracting from the more important parts of this article. In fact, I guarantee some people will have skipped everything I’ve said up until now – if you have – go back and start afresh. If you’ve read the whole way up until here. Great! Respect the hierarchy of importance for each element outlined in the Diabetic Muscle and Fitness nutrition pyramid, get focused on building healthy habits over the long term, assessing your progress and just eat real food. Before you pay for another month of gym membership consider these key principles for cutting, bulking or maintenance phases. Proper diabetes bodybuilding nutrition is about understanding how to eat healthily and sustainably towards your goals. All diet plans work (for a while), use them as a template from which to adjust according to your results and personal circumstances. Never hop from diet to diet. It’s best to measure progress after about 2 to 4 weeks and then continually adjust. 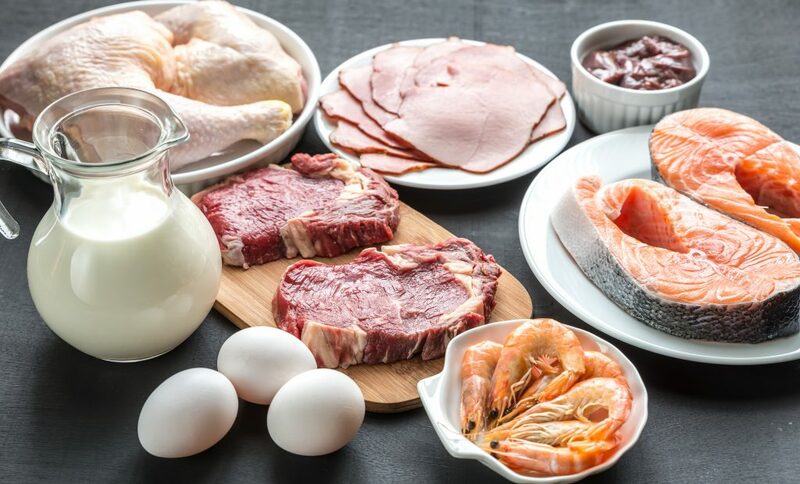 At all times, whether gaining, losing or maintaining, the ultimate nutritional approach for diabetic bodybuilding is a calorie controlled, nutrient dense diet that supports exercise performance and recovery. To get the best possible results an individual’s diabetes must be extremely well-managed through regular blood glucose testing and appropriate amounts of medication. This is essential for the proper absorption and metabolism of nutrients from food. Le Chatelier, T. Nielsen, J. Qin, E. Prifti, F. Hildebrand, G. Falony, et al. Richness of human gut microbiome correlates with metabolic markers Nature, 500 (2013), pp. 541-546. Hi – looking for something to help my Type 1 son. He is 17, a football player and very lean. He doesn’t need too much in regard to building muscle but much more support in how to eat to put on more muscle and be a healthier weight. He is 6 foot and 181 pounds. Will your guide provide him with a meal plan that a teenager would be willing to follow? We struggle with getting him to eat healthily. 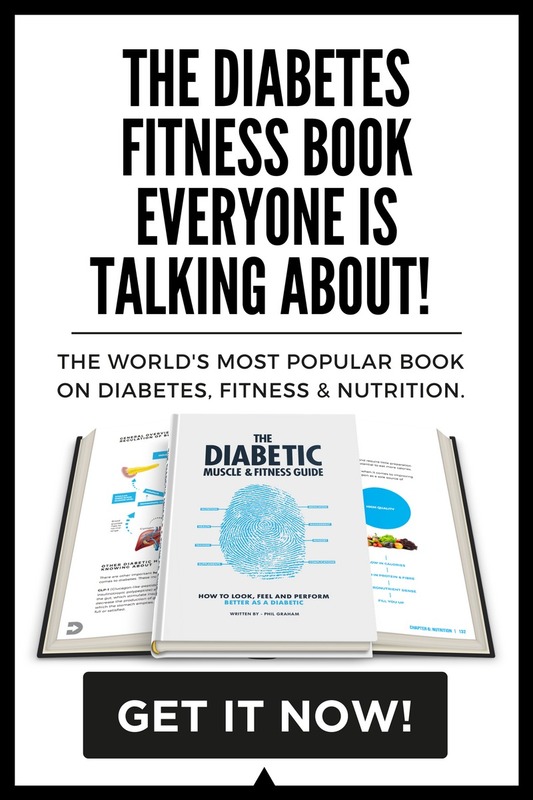 The Diabetic Muscle and Fitness Guide https://diabeticmuscleandfitness.com/the-diabetic-muscle-and-fitness-guide-book/ is his best bet. This literally is a goldmine of info on every aspect of diabetes.